Having already deemed Ocean’s 8 a good genre movie with a healthy amount of entertainment value, I am now forced to re-evaluate my opinion and say that it’s a nothing movie with little value beyond the two hours and £5 I spent at the cinema to see it. 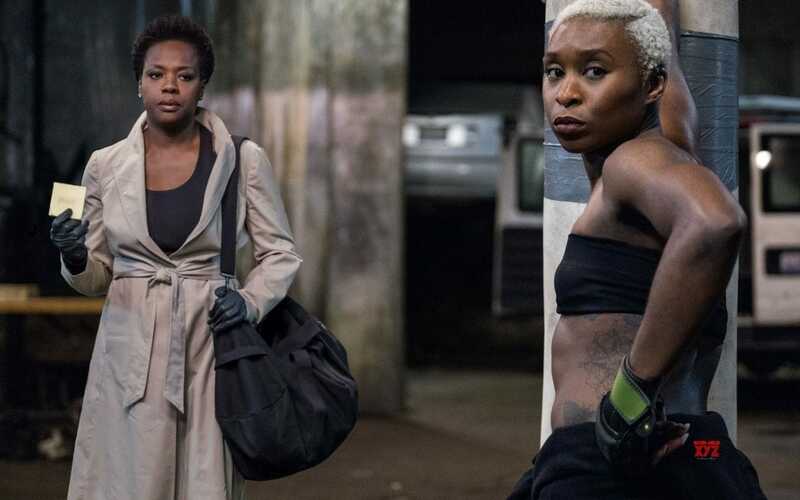 Widows, on the other hand, is a film that I’m certain I’ll be thinking about for a long time after, that has such a fine level of detail in its characterization, and comes together so satisfyingly that it puts more frivolous films in this genre given a free pass for silliness to shame. The plot is fairly simple, with ample space to explore the motives and subtleties of the main players. After the death of her criminal husband in a heist gone wrong, Viola Davis’ Veronica is at a loss, as are the other two resulting widows. To make matters worse, she has inherited his debts, and now owes $2 million dollars to intimidating gangsters, fronted by Daniel Kaluuya’s muscle. But when she finds plans for a new robbery left in a safety deposit box for her, it seems like the key to a new life. The focus here on women’s struggles that don’t tend to be considered in Hollywood cinema, let alone action films, is incredibly refreshing. We see women washing, dressing up, looking after their children, organising their babysitters, and (women of colour in particular) attempting to navigate a world that is out to get them. This is definitely the most impressive element of Steve McQueen’s always wonderful directing on show in Widows. From the inside of a modern apartment to a rough neighborhood in the south side of Chicago, no character feels safe at any time. This goes tenfold for any scene in a vehicle, of which there are many; the film opens with a brutal car crash, and the numerous long takes in cars subsequently prepare you for the worst possible consequences at all times. The tension is most significantly used in a politically aware context in a moment where African American babysitter Belle is running to her next job at breakneck speed whilst being catcalled by men in the street – a sense of relief hits when she reaches the bus, but not enough to take away from the impact of the scene. Viola Davis has the most to do here, and is the clear standout, constantly on the verge of tears and always holding back a just-barely repressed anger. But others rise to the fore as well – Daniel Kaluuya is a coolly threatening presence, an unstoppable force, and Elizabeth Debicki is almost the opposite as a fragile woman, beaten down by her family and maligned by women who don’t know the full extent of her trauma. Her arc is perhaps the most satisfying and yet the most small scale, a testament to the power of her performance. So go see Widows – I can guarantee you that it’s better than The Grinch.